As the Newborn Care Director for TLC in St. Louis and Miami, I love to share articles about caring for newborns and their families. Many parents are looking for information about keeping their newborn safe and secure. TLC is partnering with Parenting Resources to train postpartum doulas, newborn care specialists and baby nurses so that they can assist new parents. 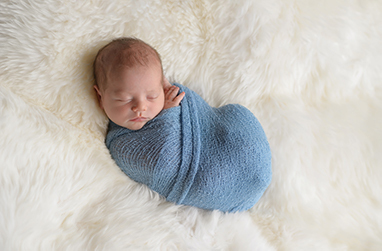 This article by a mom talks about the benefits of swaddling. Swaddling is the art of snugly wrapping a baby in a blanket for warmth and security. It can keep your baby from being disturbed by his or her own startle reflex, and it can help keep the baby warm for the first few days of life. Do you remember trying to swaddle your babies once you came home from the hospital? Click here to read the full article and get the step-step-by step instructions on how to swaddle like a pro! The “Uber” of babysitting has just arrived in St. Louis! Over 30 years ago, TLC for Kids pioneered the industry by being one of the first to provide quality, professionally screened childcare to their clients. Now, as one of the nation’s top nanny agencies, they are transforming it again. Together with Sitter, they’re on a mission to radically simplify the way parents book, pay and find high-quality babysitters. Parents can now use Sitter to book one of TLC for Kids’ fully screened, professional nannies with a tap. This partnership combines the decades of TLC for Kids’ skilled vetting and matching expertise with the cutting edge technology required to support today’s parent. Parents don’t have time to sift through thousands of unscreened caregivers online, nor do they have the expertise required to ensure the caregiver they find online is capable of keeping their child safe. With TLC for Kids and Sitter, parents save time and worry less by getting a sitter screened by experts on-demand, skipping the ATM, and saving all the critical information (emergency contacts, allergies, etc.) their sitter needs. “A cleared background check just tells you a potential sitter is not a criminal. It doesn’t mean they’re good with kids. We’ve devoted our lives to developing an expertise in finding the best childcare providers. Now, we’re thrilled to be able to give parents access to them in the most convenient way possible.” says Stephanie Graff, President of TLC for Kids. Current members of TLC for Kids have access to this new technology as part of their membership. Families in the St. Louis area who are not current members can access and use the app for free for a limited time. Join the Sitter app now to book screened TLC for Kids caregivers. The only thing left for parents to do is get out of the house. They can rest easy knowing TLC + Sitter have them covered! To get started using TLC caregivers through the sitter app, visit our TLC/Sitter page.